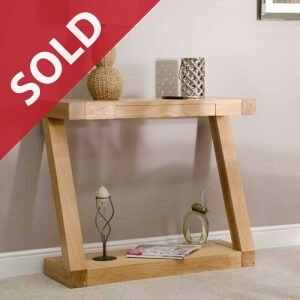 Oak Lamp or Sofa Table in a ‘chunky’ contemporary style. 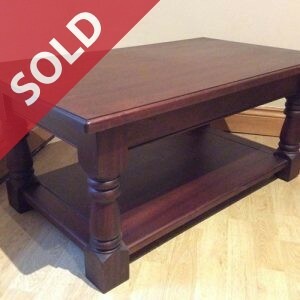 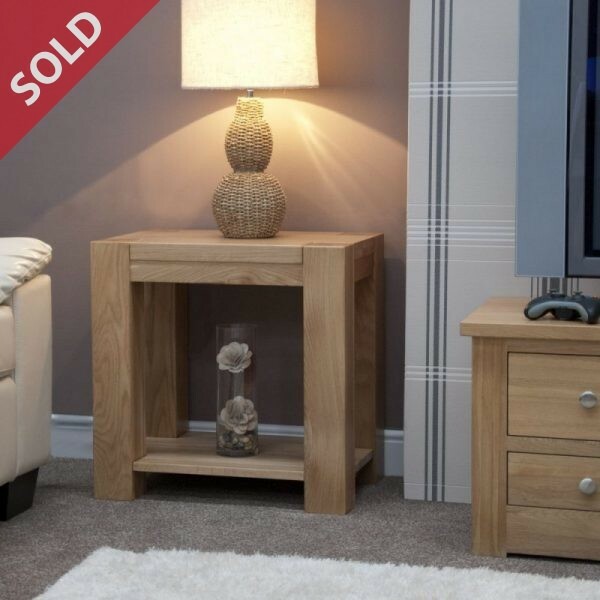 This solid oak table is manufactured using traditional methods and features 1 wooden shelf. 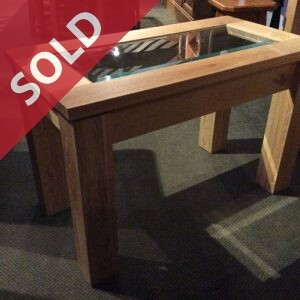 12cm square solid legs to each corner, the table is finished in a durable lacquer which will help protect and enhance the beauty of this solid oak. 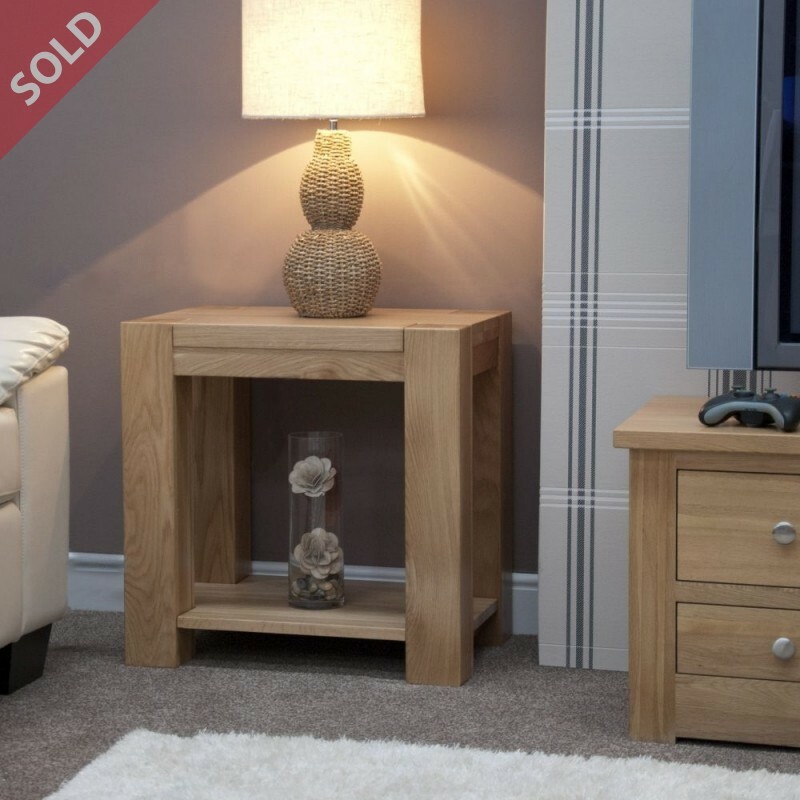 Manufactured from Solid Oak sourced from sustainable forests.